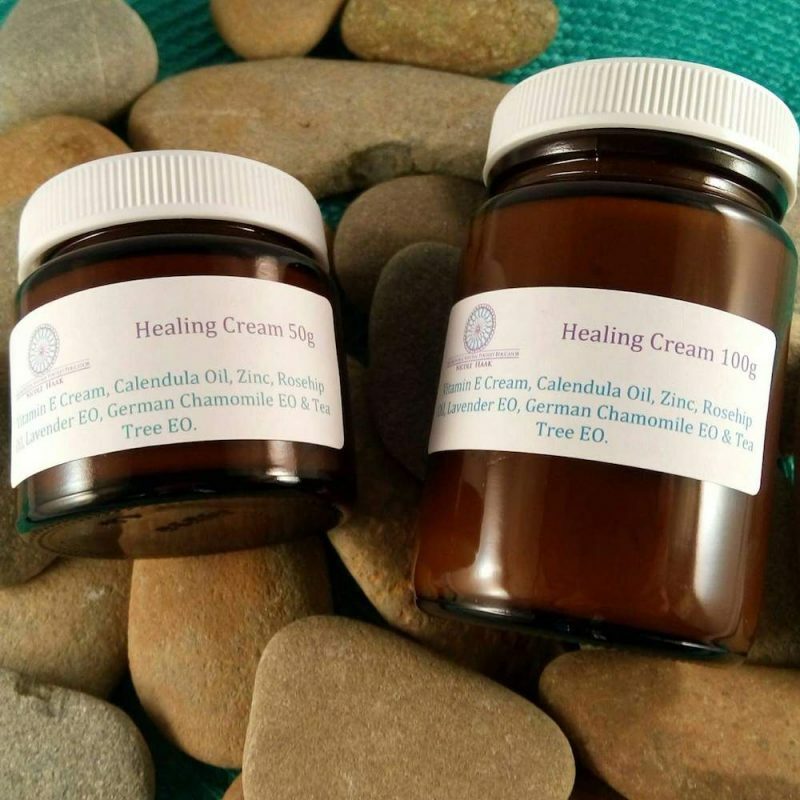 The Healing cream is a beautiful blend of vitamin E cream, Calendula, Zinc, Essential Oils of Tea Tree, Lavender, German Chamomile and Rosehip oil. It glides onto the skin and a little goes a long way! It is great for any injuries, scars, infected areas and even eczema, dermatitis and sunburn.